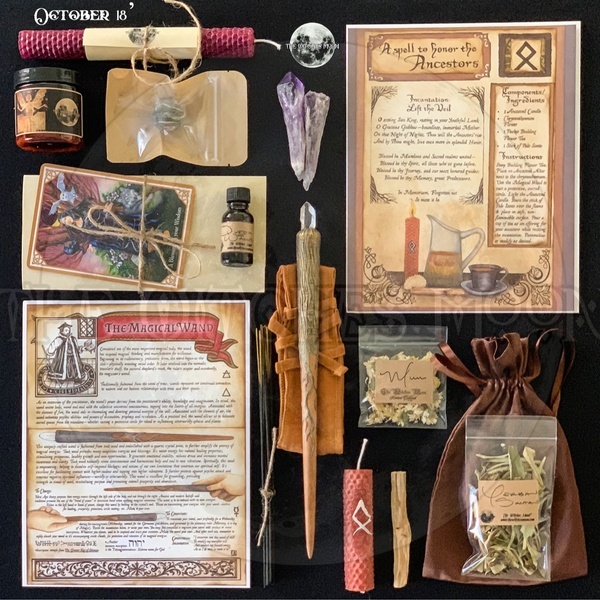 Enter your email address below to receive a notification when The Witches Moon® starts accepting new sign-ups! 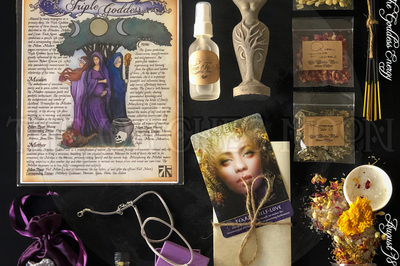 Enter your email address below to receive a notification when The Witches Moon® is accepting new sign-ups again. Subscriptions purchased between April 1st and 30th will receive the May Box as their first box, being shipped between May 1st and 10th. 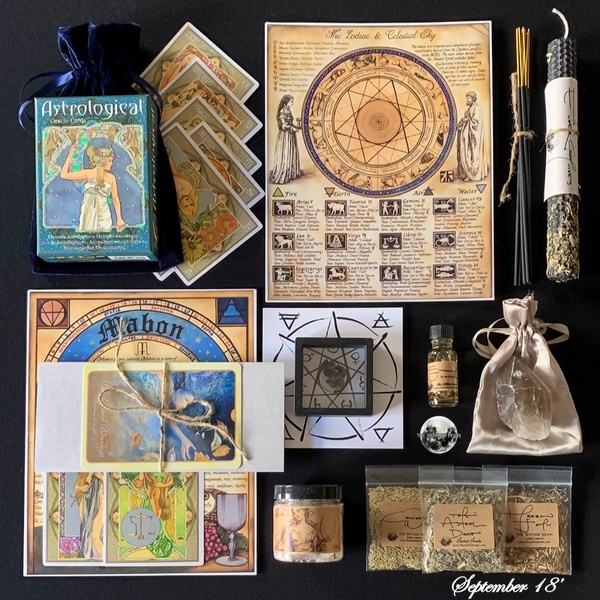 Any subscription that is placed during any given month will always receive the following month's box, being shipped between the 1st and 10th of that next month. 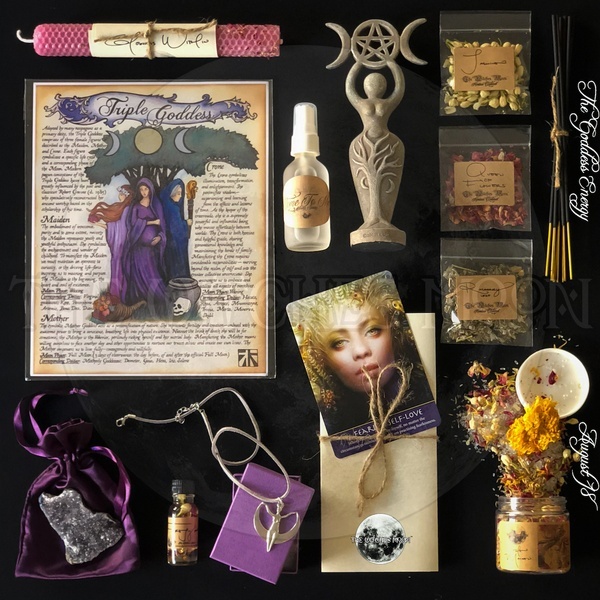 The Witches Moon: Witchcraft Delivered. 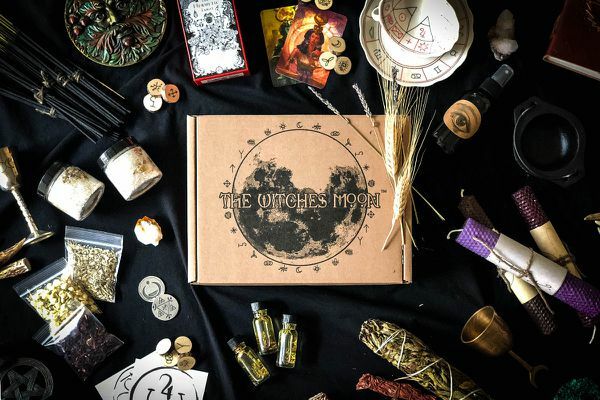 The Witches Moon is a premium subscription box crafted for the authentic Witch. We are passionate about our Craft and want to share our knowledge and practice with the world. 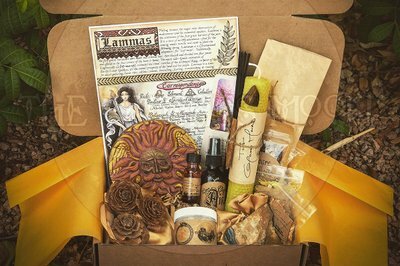 *Not intended for Full Moon Ritual, 1 Box per month. $9.00 Shipping. 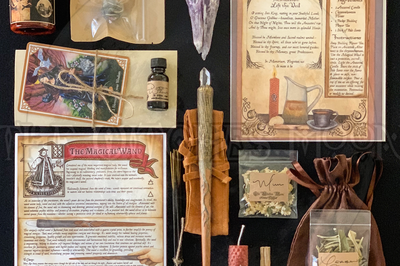 Items that may be included goes as follows: Hand-Rolled Spell Candles, Spells, Book of Shadows Artwork, Altar Items, Oracle/Tarot Cards, Herbs and much more! Overall, I was happy with the contents of the box. 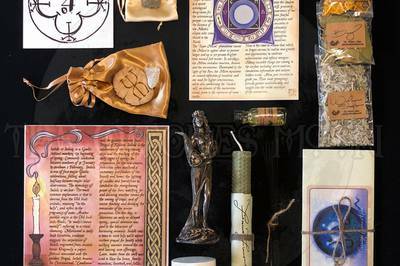 The artwork and candles were beautiful and I loved the dried herbs. The crystals, especially the fluorite, was absolutely beautiful. I was surprised by the amount of items included. However, I cannot give a full five stars for a couple of reasons. I cannot use extremely strong scents due to allergies, so I had to give the rope incense away. I would expect a box like this to include more natural incense. 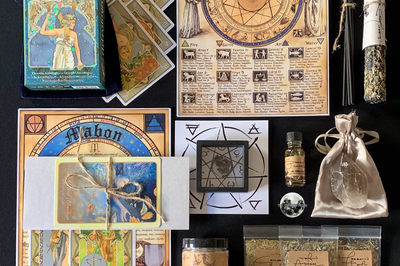 I will also be giving the oracle deck away, which is extremely disappointing as I was excited to receive a full deck. I know it is difficult to pick a deck that everyone will love, but I did not feel this oracle fit with the theme and vibe of the box. Several of the cards featured archangels and I don't vibe with Christian imagery. I feel there are so many other oracles in that price range that would have been a better choice. In my opinion, the previous decks included in the boxes (from what I can see through pictures) were better chosen. But, overall, I am impressed with the box and I am interested in giving it another try so I will let the subscription renew another month.